Running today was not easy—feeling sluggish, a bit sad, but my body went into automatic at some point and I wasn’t thinking about the fact that I was running, I was just moving above the ground. I like it when that happens; it’s like flying. I’ve used that analogy before with things—with riding a bike, with writing. Yes, sometimes writing feels that way. Like I’m soaring above the ground, zipping around, a kind of high. Although, writing is not always like that, writing is often just plodding away. Just like running is, those first seven to ten minutes—sometimes longer—before my body goes into automatic. I don’t like that, really, the word “automatic.” It makes me think of machines and robots when it’s more like a natural state, a zen state of writing, a zen state of running, where I’m in the moment, doing the thing and not thinking about doing it. 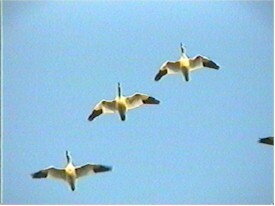 I was in that state today, floating over the sandy ditch bank, watching geese fly overhead in arrows, calling out in their funny way—I felt like I was soaring with them. But I’ve since landed. I’m feeling a little depressed, still, after getting a rejection “letter” (email, to be precise) from this small press I’d submitted my book to. Unhappy, but there’s a strange sense of freedom in their rejecting me. I think I would have been sorry had I gone with them. They are not respected; I think they put out a bit of pulpy stuff (not that there’s anything wrong with pulp–it has its place). I suppose I should be glad that my work does not fit in with their “needs” (whatever those are.) I do think my novel is a bit too literary for them, even though it may not be literary enough by MFA program standards. It is still too complex for the regular, strict-genre fare that this particular press puts out. If that’s the way I feel , why did I submit to them and not do a thing (as far as writing goes) for three months while I waited for their reply? I was sure I would be picked up, to be honest. I thought that well of my novel, it was actually too good for them, they’d be happy to pick it up. What is wrong with this picture? First of all, I was definitely aiming too low. Secondly, I was afraid to go to a better press. There are very few presses that deal in my niche market and I’m afraid to be rejected by those that are more respected. This is difficult, writing about this. I’m afraid but I have to forge ahead, to walk though this fear and see what happens. I have not actually tried to publish this book. Sure, I submitted to a contest (one winner out of however many. I didn’t win—big surprise) and this “lowered expectations” press. That’s hardly a try and I really thought that they were likely to take my book because—look at the crap they sell—mine is much better. Whew, that kind of smarts! Maybe mine isn’t better. That’s the thought that keeps seeping into my gloominess, maybe I’m really not good enough—even for Bottom of the Barrel Books. Aaaaugh! The writer’s plight: always fighting with the magically morphing ego (now too big; now too small). I’m either the best or I’m the worst, never somewhere in-between. All right then. Stop whimpering, dust yourself off. I need to look for a new publisher, rewrite my synopsis, get someone to edit it, try again. And again. And again. Who do I think I am, really, that I shouldn’t have to go through the many rejections that all writers, most writers, have to go through? This is hard to write about and I don’t know if I want this to be in the blog. Reflection on rejection, not very inspiring. I’m feeling about seven years old today. Feeling sorry for myself, wanting to give up, wanting to eat a bunch of junk. The run was good, but its effects are not as lasting as I’d hoped. I came home, escaped into a mystery novel, not wanting to deal with grading the stack of student essays, not wanting to deal with revamping my synopsis, working on that outline for another stupid press.